You must be so pretty in the summer! It would have been lovely to see you under a fresh blanket of snow too! 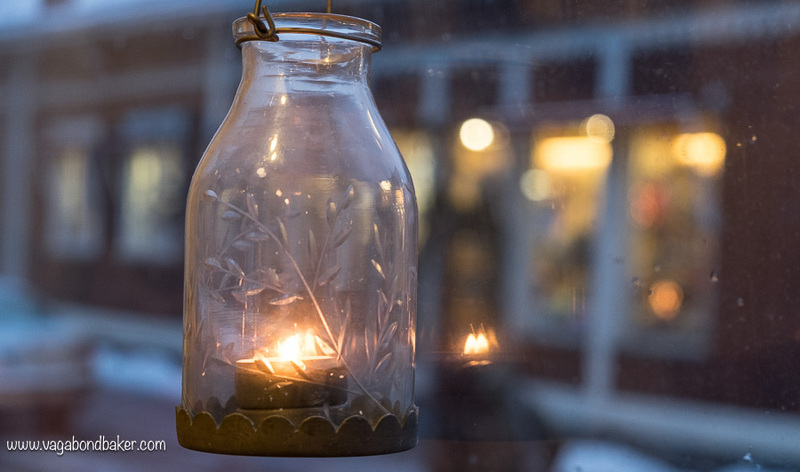 I could certainly see your charms through the sleet of a wild January day, through the window of the cosy cafe we took refuge in. 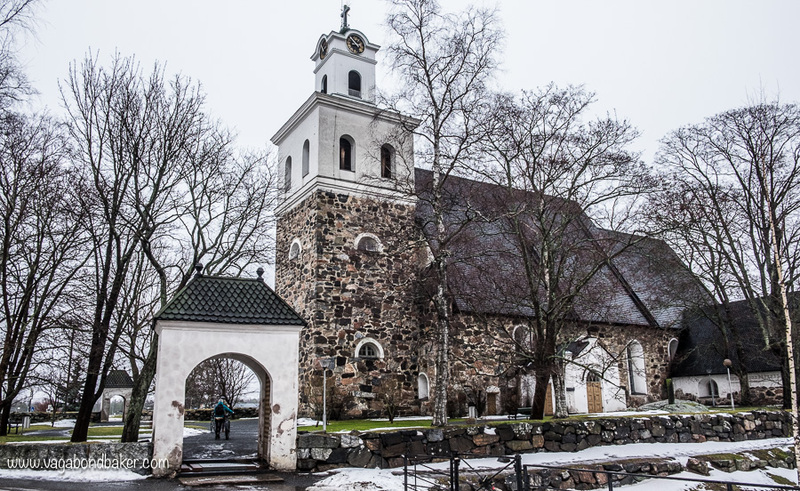 It is no surprise to discover that Old Rauma is a UNESCO World Heritage Site. The old city is made up of 600 beautiful wooden buildings dating from the 18th and 19th centuries. 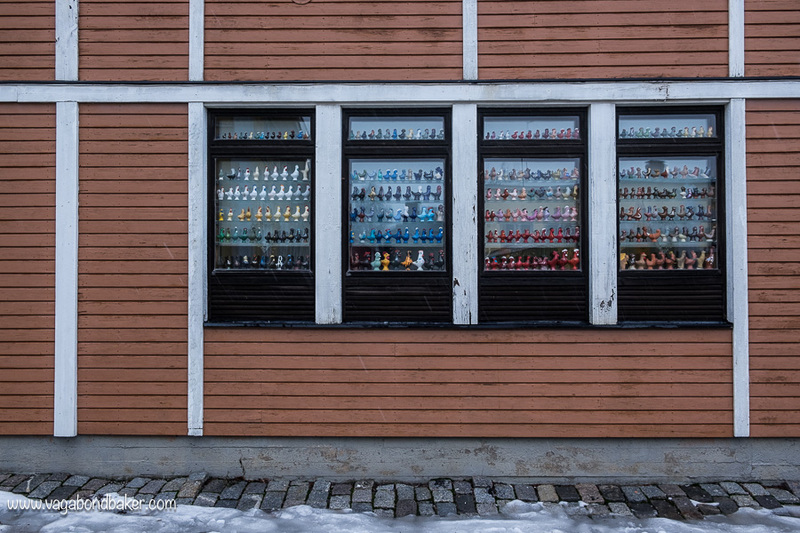 Old Rauma may be a picture-perfect museum piece, but it is also a thriving town: the colourful wooden buildings are inhabited and many along the main streets are businesses and shops. The snow from earlier in the month had now mostly melted, leaving an icy crust to the cobbled footpaths. 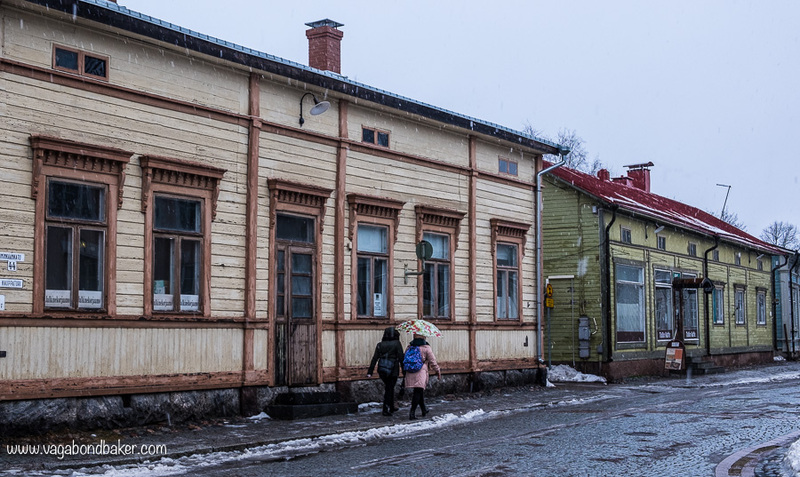 I was not seeing Old Rauma in the best weather or the best light photography-wise: the sleet left white streaks on my photographs as it blew across the exposure. 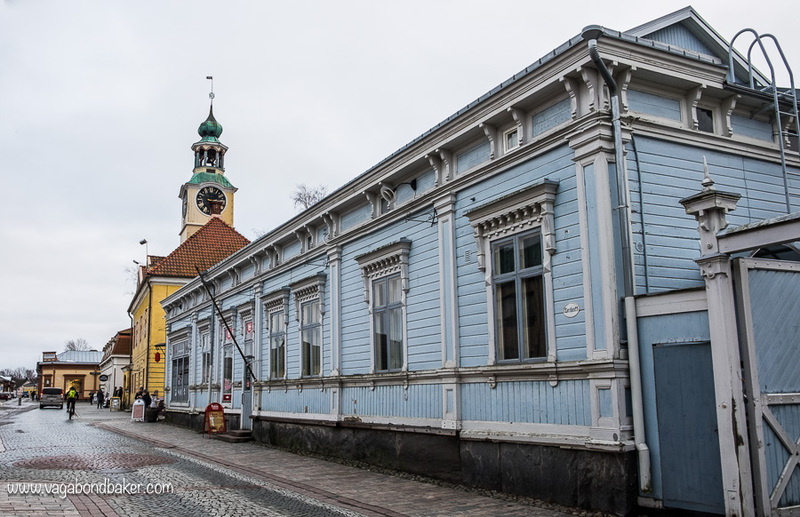 I had an excellent guide for my time in Rauma: blogger Saana from Live Now Dream Later. We explored the old town one wild afternoon and after a good wander the weather got worse and we retreated to the warm welcome of Wanha Rauman KaffeBar. With a hot cup of dark roasted coffee – and for me a delicious cardamom scented doughnut – we sat and chatted while the evening drew in. 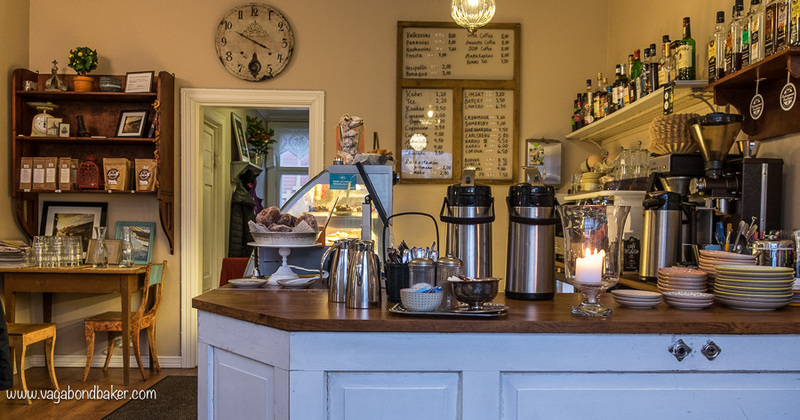 This little cafe has all the charm of the old town it is situated in, a perfect place to feel the atmosphere of Old Rauma. 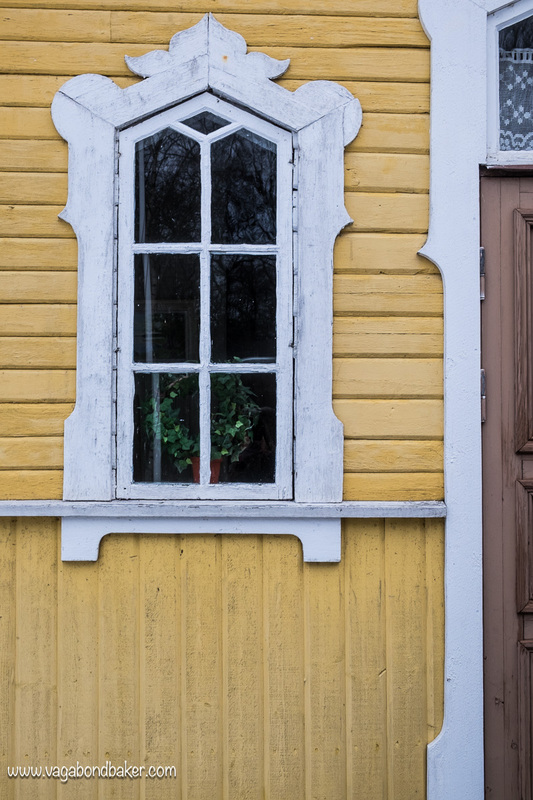 How lovely it would be to wander around Old Rauma in the sunshine and warmth of summer, to see the colourful houses against a bright blue sky. The oldest surviving building in the town is considered to be the Church of the Holy Cross which was built in the 1500s, and stands out for being an attractive stone building amid all the low wooden houses. 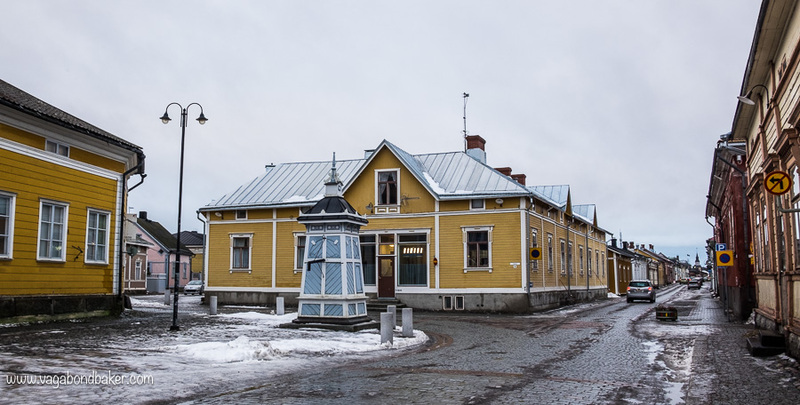 Rauma is a harbour town, although the land has risen leaving the old town one and a half kilometres from the waterside. The decorative buildings are due to the wealth generated by the busy port. 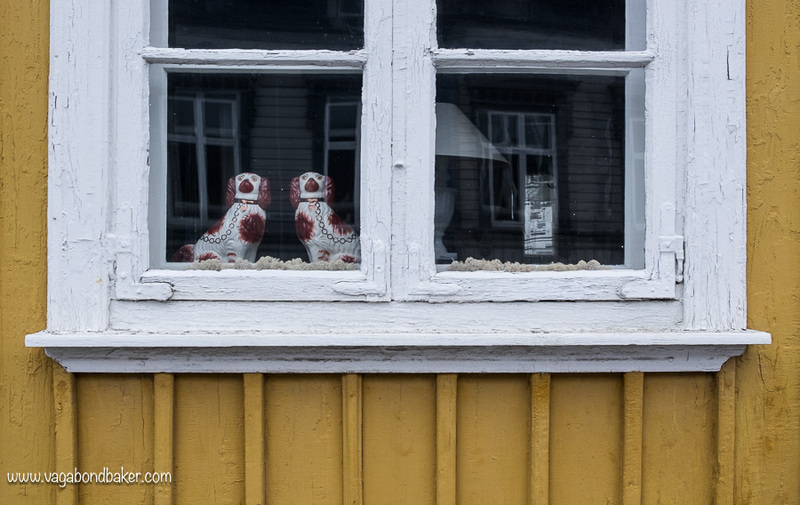 Saana told me the reason many of the houses have china dogs in their windows: with their husbands often away at sea the towns women could signal whether he was at home by facing the dogs inwards. When the husband was at sea the dogs expectantly faced out onto the street. 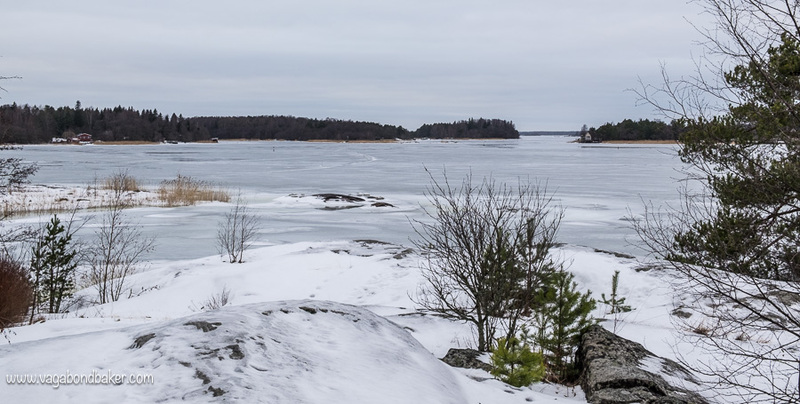 Rauma is situated on Finland’s archipelago west coast and the following day we took a walk down to the sea: the shallow bay was frozen over. 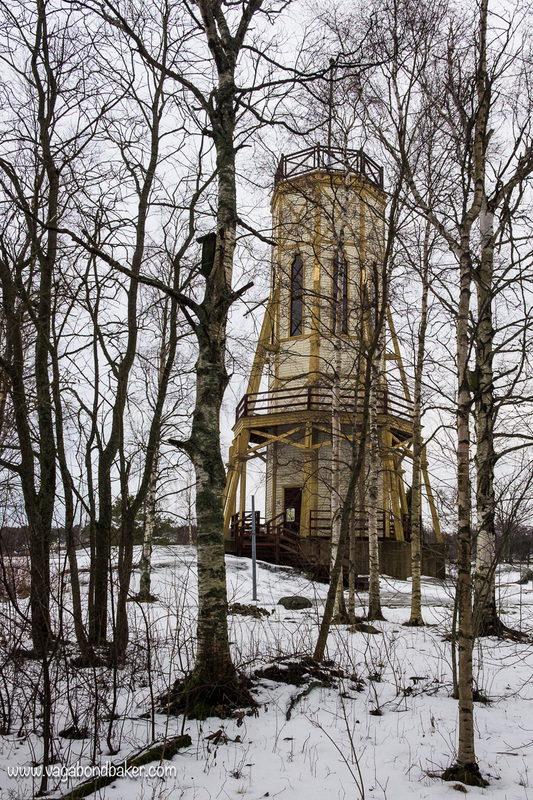 The day was better and the walk was scenic, at the Kiikartorni lookout tower near the marina we were able to get a clear view out to the inner archipelago, albeit from the base platform of the tower, as the steps up were closed for winter. I don’t think I’ve ever walked on a frozen beach before, despite spending much of the last ten years living by the sea! 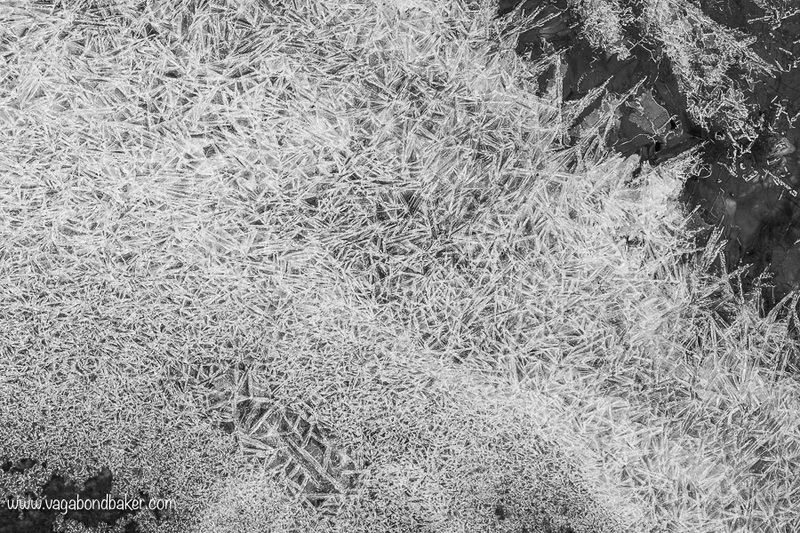 With the milder temperatures the glassy ice cracked and disintegrated underfoot as we carefully made our way across the sand towards Poroholma Holiday Park. I like checking our camping options for the Thundertruck should we end back up here in the summer! Yet again Finland wowed me with a beautiful town, great company and delicious pulla (sweet buns, in this case doughnuts). I really hope we can return here this summer, I’d love to see Rauma in full bloom. I think it’s about time I saw Finland outside of the winter! 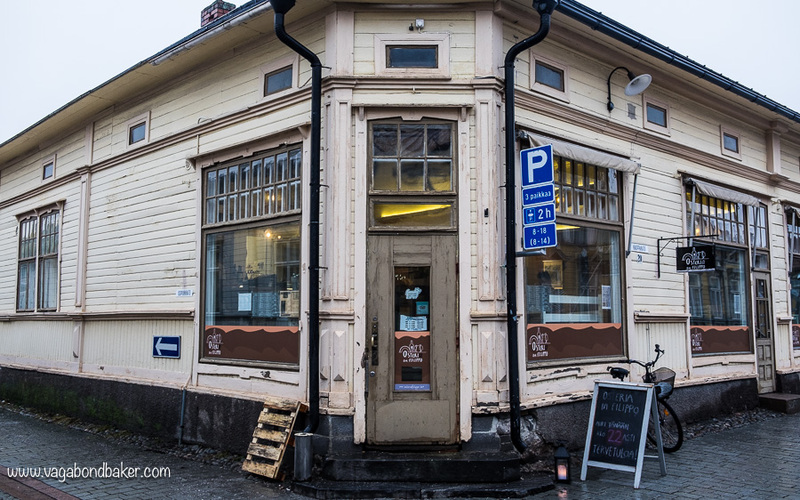 If you can’t wait until then, check out this great post by Saana: “A Walking Tour Through Old Rauma In Snapshots” where you can see Rauma on a sunny day! 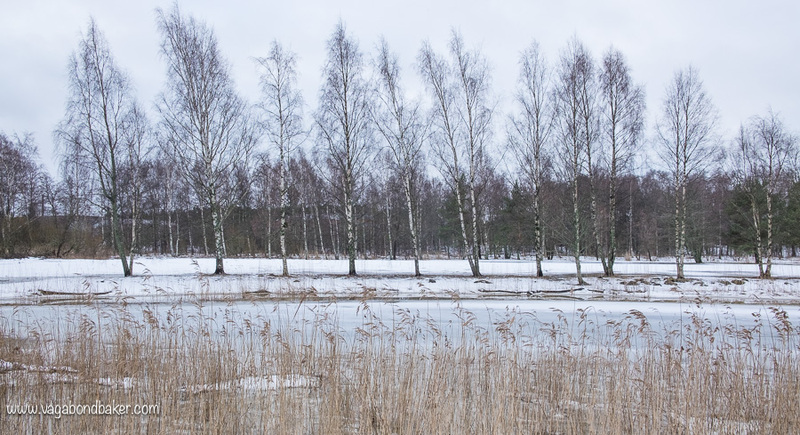 Here’s Why You Must Visit Suomenlinna in Snow! Finland’s Sea Fortress in the grip of beautiful winter! Great post.. In Finland we have many similar small towns than Rauma. In summer it is indeed beauiful. Thank you! 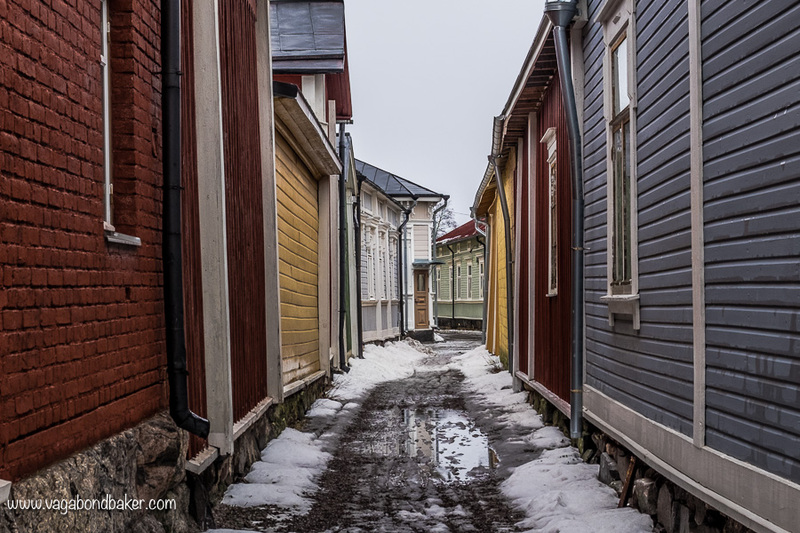 I’ve seen a couple of similar ones: Porvoo was super pretty too. What a gorgeous little town! I’m obsessed with visiting more northern countries at the moment – maybe Finland needs to get pushed up my list! Thanks Keri! It really is very pretty indeed! I’m totally obsessed with the northern countries. I’m embracing the cold after many trips to Asia and the south, and I’m completely in love! Yes you do need to see it, such a gorgeous winter country! It’s all gone a bit slushy now mind you! Well, they are next door neighbours! 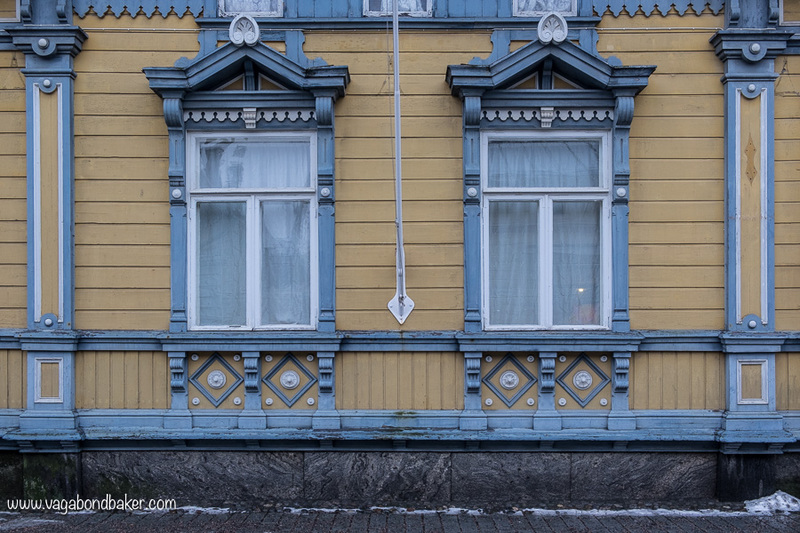 I thought the same after seeing windows like this first in Irkutsk! These pictures are amazing- I think I will have to add Finland to my to travel list. Hope you are getting lots of exciting baking ideas! Thanks Rachel! I think a lot of people are adding Finland after all my heartfelt posts! I’ve made a little list of baking ideas today, stay posted! Thanks for the link and your kind words. 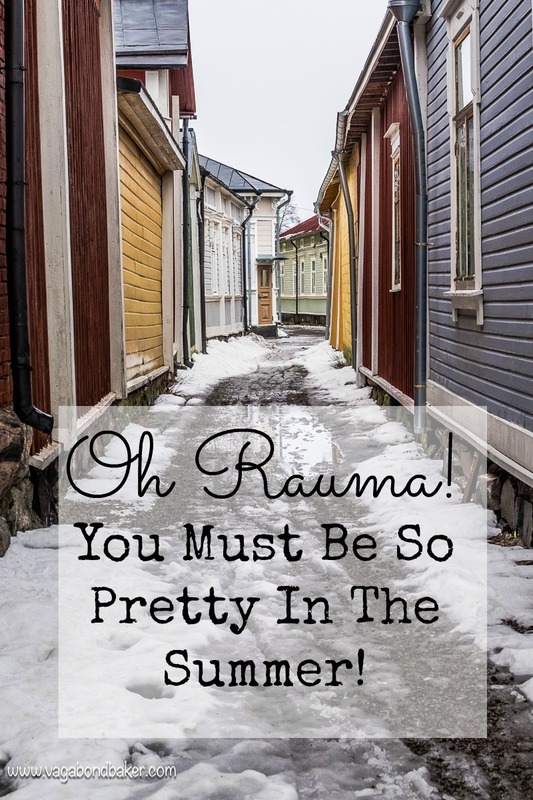 Rauma really is beautiful in summer, so you must come back in a few months. It was a pleasure to have you here and finally meet you face to face! 🙂 Greetings from silly kitties! I hope you get lots of clicks!